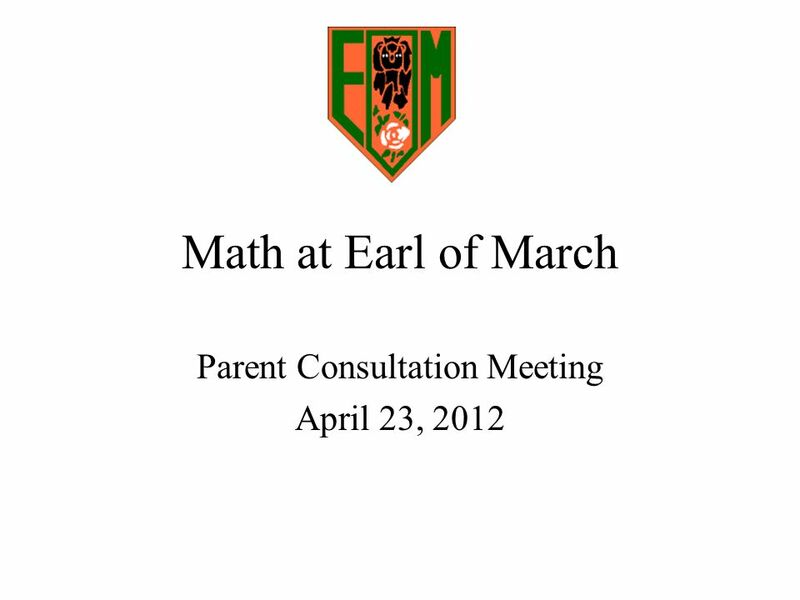 Math at Earl of March Parent Consultation Meeting April 23, 2012. Download ppt "Math at Earl of March Parent Consultation Meeting April 23, 2012." Building Our Future: One Community, One School, One Child at a Time Goals of the Special Administrative Board St. Louis Public Schools October 14, 2008. 2004 Longitudinal Study Technical Report California Regional Occupational Centers & Programs (ROCP) Douglas E. Mitchell Website. Presented by Beth Waldman, JD, MPH For the Iowa DHS Remedial Services Working Group Meeting Four December 3, 2010. HIGHER MATHEMATICS SQA Workshop Saturday 12 November 2011. A Community Update on GATE Identification November, 2010 Presented by NHUSD GATE Committee representatives. School Councils School Improvement Plan for Student Achievement SIPSA. 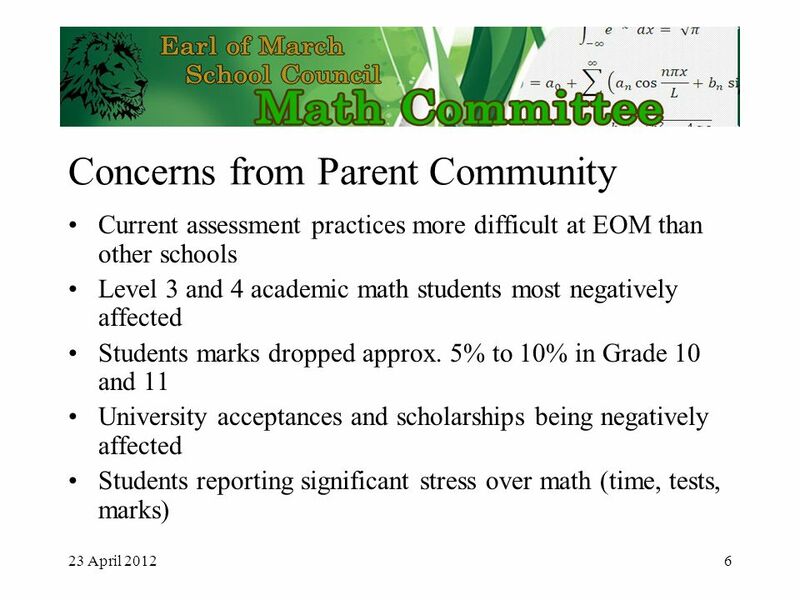 Draft Recommendations for Using the Smarter Balanced Assessment in Placement: Working Toward Meaningful K-16 Alignment Bill Moore, State Board for Community. All You Want to Know About the K-2 Assessments Amy Scrinzi, Ed.D North Carolina Department of Public Instruction. Results of Survey on Level Organization June 2012.